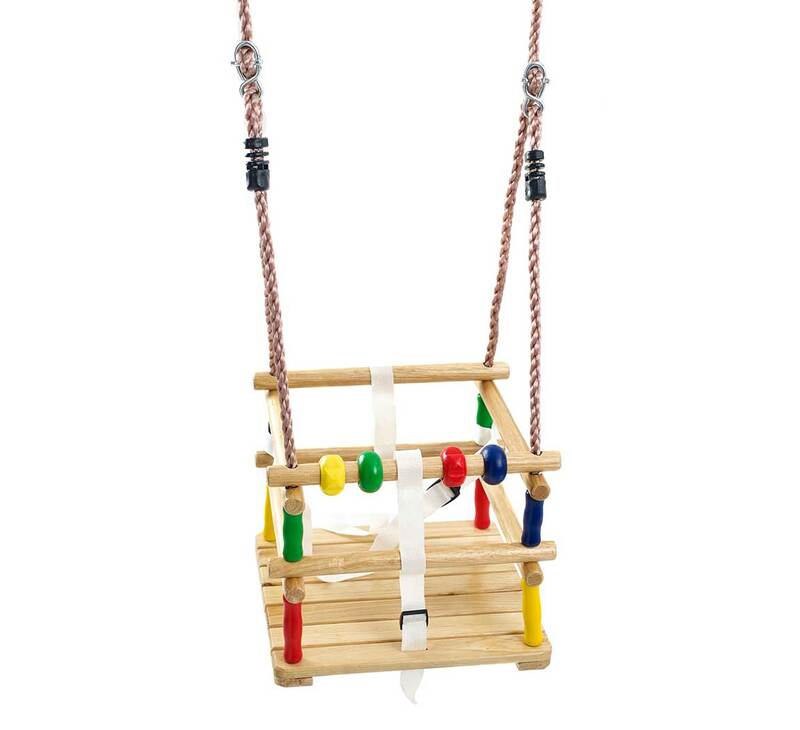 This Deluxe Wooden Beaded Baby Swing Seat has been specially designed to not only provide a safe and sturdy swing for your little one - but fun additional entertainment at the same time! 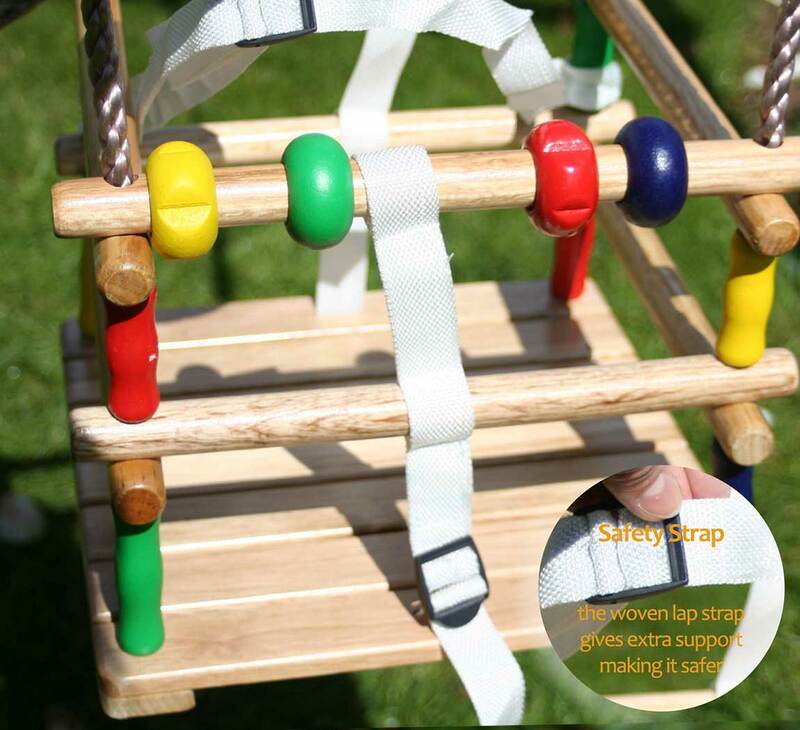 The safety features include an additional safety strap to make sure your little one is strapped in well. 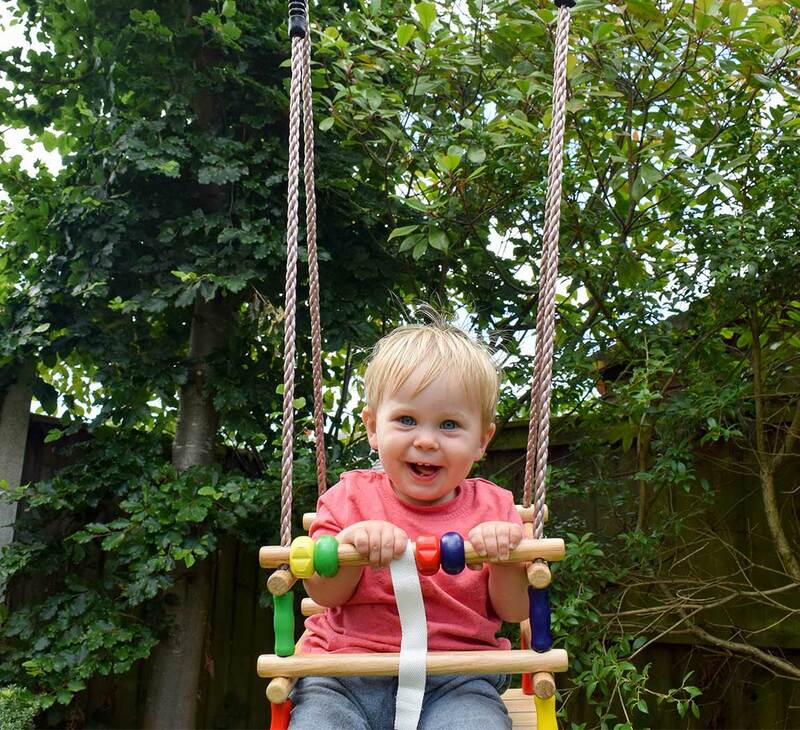 The swing has the 'spin-and-swing' beads at the front which not only help with colour recognition, coordination but also add an exciting element of play as they swing. 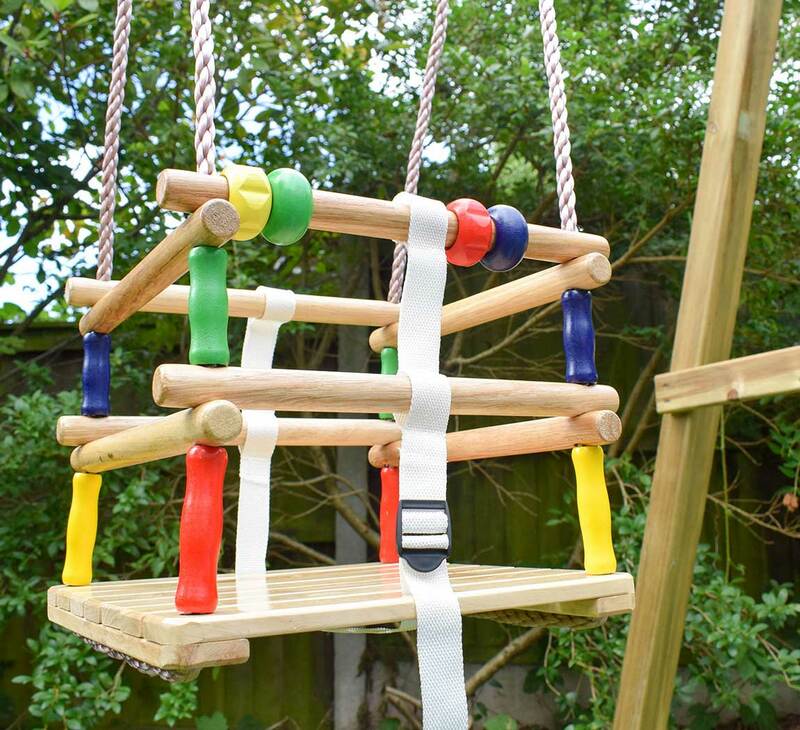 This gives the swing an additional use as they can sit in and play without the need for someone to push them. 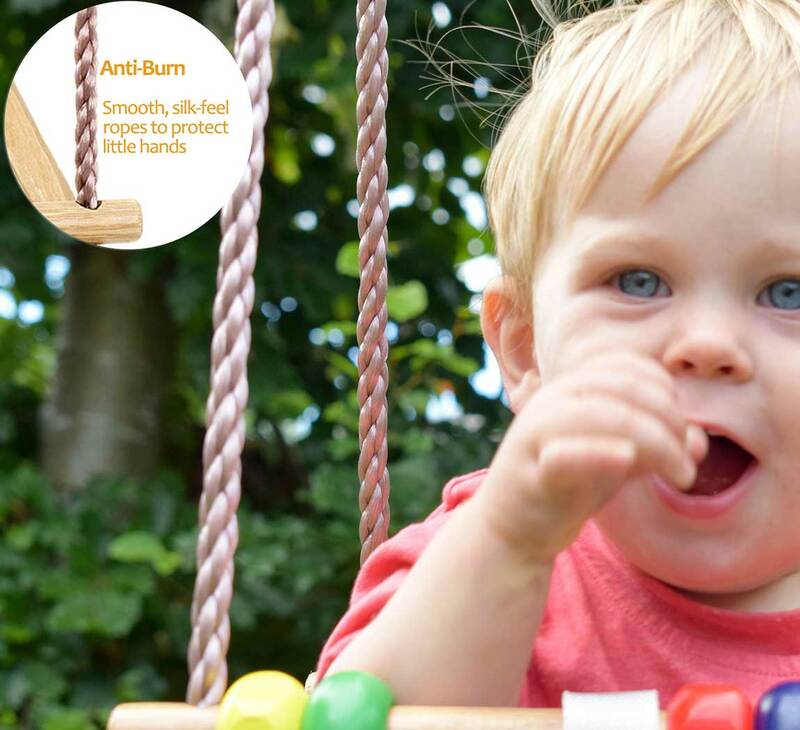 The anti-burn ropes, prevent little hands from getting hurt as the silky smooth ropes are soft to touch. The swing allows you to get your child in and out easily as the leg holes are well sized. 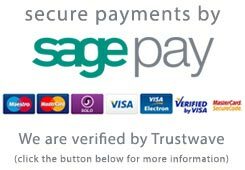 The wooden bars can be pulled up the rope to make getting in and out even easier. To top all this, the swing is made from varnished beech wood - so it is easy to wipe clean and will continue to look god for a very long time. 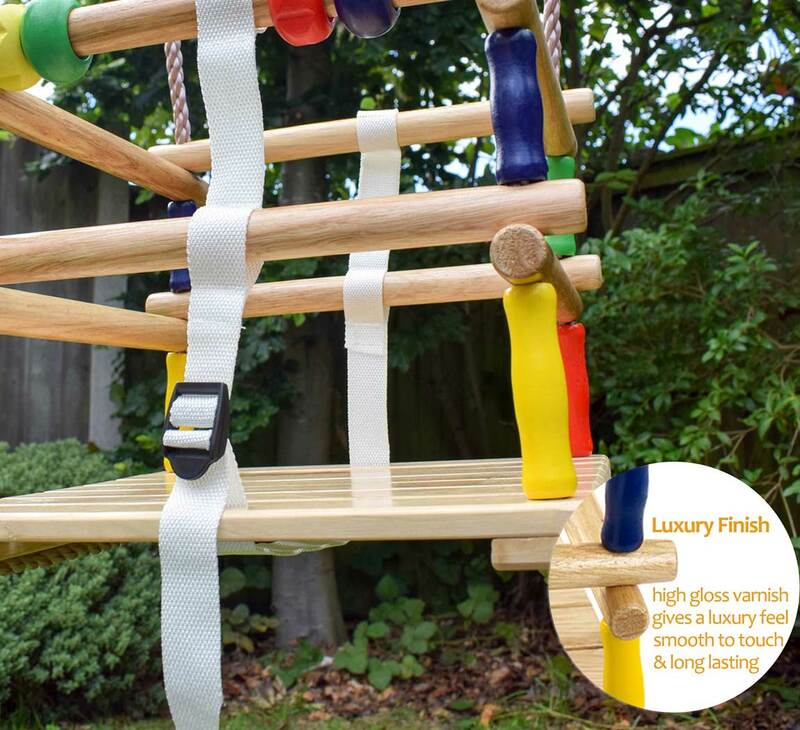 This is a premium quality swing seat which will give your little one hours of enjoyment in your own garden. 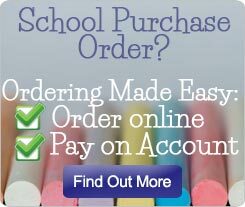 The fun spin and swing beads are bright and colourful, attractive to look at and fun to play with!